With water use and rising expenses a concern, forage sorghum is a cheaper, more effective alternative for Georgia cattlemen feeding dairy cows, according to University of Georgia animal and dairy scientist John Bernard. UGA scientists are studying the effects of forage sorghum as a dietary supplement for dairy cows. Forage sorghum has multiple benefits that make it an attractive option: It’s drought tolerant, can be harvested twice in the same growing season in the southern part of the state and supports equal milk production to those cows fed corn, Bernard concludes. “It’s a nice fit for those cattlemen who are stretched thin. In some areas, they can’t water well enough to produce a top-notch corn crop. Forage sorghum might be a very good option because of its greater efficiency in using water,” Bernard said. Corn silage is greatly dependent upon water to produce an adequate crop. 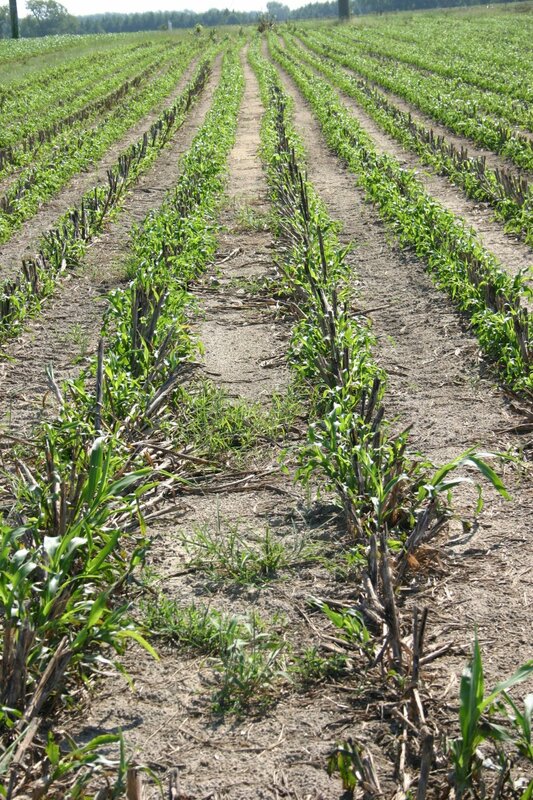 Forage sorghum, on the other hand, requires less water, an important factor when rainfall is limited. Bernard reports forage sorghum requires 30 percent to 50 percent less water than corn. He said forage sorghum would be especially beneficial for producers who farm on dry land or in fields where irrigation access is limited. The development of new varieties has advanced forage sorghum production, specifically the brachytic dwarf varieties that possess the brown midrib (BMR) trait, which increases fiber digestibility in the cows. Traditional sorghum grows up to 12 feet tall. It is susceptible to falling over or lodging, if it encounters any type of wind, which can be a problem during harvest time. At 6 feet, the new dwarf varieties are much shorter, but produce similar yields as the taller sorghum with more leaf per unit of dry matter. Forage sorghum is also capable of producing adequate yields twice in a growing season. Bernard said that forage sorghum can be cut, refertilized and grown to be harvested a second time, if it’s planted early enough. The resulting crop is just as effective at supporting milk production as it was the first time it was harvested. Also, harvesting forage sorghum twice saves time and money for farmers who attempt to produce corn twice in a year. “You don’t have to spend money on fuel to replant the crop and you don’t have to buy seed to replant,” Bernard said. One drawback to forage sorghum is the rise of the sugarcane aphid. Bernard said the pest has changed its diet to sorghum crops in recent years, which has forced breeders to research for sorghum-based breeding lines that are more tolerant of the pest. Chemical treatments are available to spray and provide control of the insect, which also requires a rigorous scouting schedule. Despite the dangers linked to sugarcane aphids, Bernard believes forage sorghum remains a viable alternative for Georgia farmers to consider. Years of research conclude that cows produced equal amounts of milk after consuming forage sorghum when compared to those who were fed corn. “It may not be the option for everyone, but it’s another option to look at,” Bernard said. For information and additional articles from UGA CAES, visit Georgia FACES.